South Africa has at least 8,000 captive lions in privately owned breeding farms, possibly as many as 14,000. Adding to an already contentious issue, earlier this year the South African Department of Environmental Affairs sanctioned an increase in the lion skeleton export quota from 800 to 1500. The controversial decision caused an outcry locally and abroad, and fears of damage to the country’s solid conservation record have prompted the relevant parliamentary portfolio committee to convene a public hearing on the matter. South Africa’s unregulated captive lion breeding industry will shortly be reviewed by the Portfolio Committee on Environmental Affairs in a two-day hearing open to the public. According to the committee chairperson, Mohlopi Mapulane, the aim of the event is to facilitate a constructive debate around the future of captive lion breeding and hunting in South Africa. A colloquium titled ‘Captive Lion Breeding for Hunting in South Africa: Harming or Promoting the Conservation Image of the Country’ will take place on 21 and 22 August, giving stakeholders from across the board an opportunity to present arguments for and against captive breeding of lions. A report published by UK-based Born Free Foundation in March backs up Mapulane’s fears over Southa Africa’s waning reputation as an international wildlife and conservation pioneer, illustrating how the captive breeding of lions for hunting and their bones has detracted from the country’s conservation status. Mapulane says the committee will “put a spotlight on the [captive breeding]practice, to better understand the different views that exist.” Following the discussions, the committee will decide whether to review and/or amend legislation, or whether they would have to initiate new legislation through parliament. The report examines and investigates substantial problems and loopholes in the CITES permitting, enforcement and oversight system, and demonstrates the failings of South Africa’s national policies and procedures. There have been pleas to formulate policies and better-regulate the industry for years, without avail. No national consensus can even be found on the number of captive-bred lions in the country at the moment. Lion skull and other bones. On 16 July this year, South Africa’s Department of Environmental Affairs announced an increase in the lion skeleton export quota from 800 to 1500 skeletons. Image: Blood Lions / Conservation Action Trust. Experts conservatively estimate around 8 000 African lions in cages, but considering the unnaturally high breeding rate to produce more cubs, for petting, it is likely that the figure is closer to 12 000 today. The South African Predator Association (SAPA) even suspects the figure to be as high as 14 000. 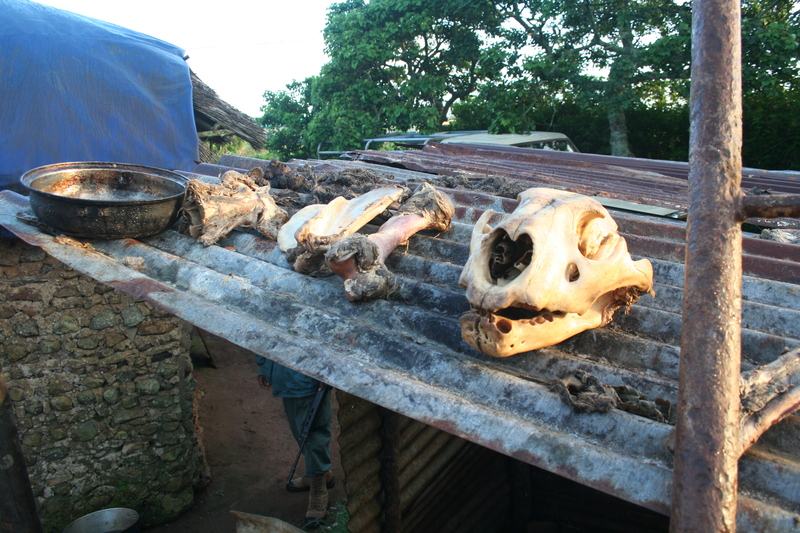 On 16 July this year, the DEA announced an increase in the lion skeleton export quota from 800 to 1500 skeletons, citing a growing stockpile of lion bones, an increase in poaching of captive bred lions for body parts as well as increased pressure on breeders due to the US’ restrictions on importing captive-bred trophies. Conservationists warn that this latest spin-off from the industry, exporting lion bones from captive-bred animals, may be an even bigger driver for captive lion breeding in the country. According to Ian Michler‚ Consultant and Campaign Co-leader to Blood Lions‚ “it is possible that canned hunting will become a by-product of the bone industry”. The DEA’s decision to almost double the annual lion bone export quota baffled conservation authorities, who argue that there is not even enough scientific data to back an export of 800 skeletons, let alone 1500. 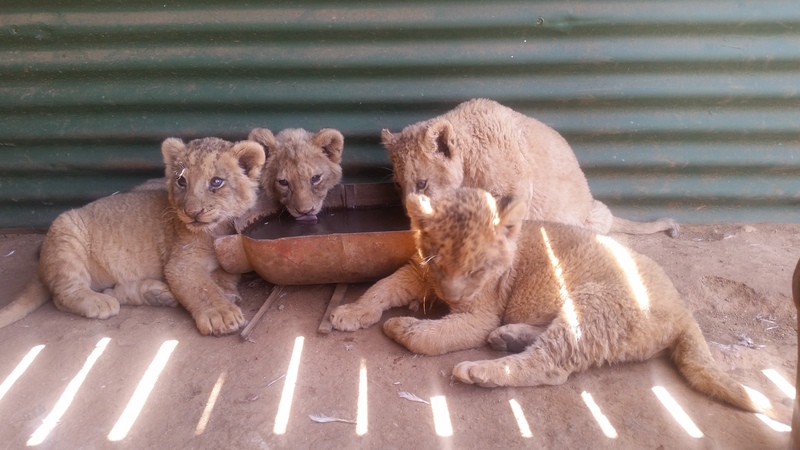 There are also increasing concerns over the possible impact of captive lion breeding on SA’s wild lion populations. This is according to Dr Kelly Marnewick‚ Senior Trade Officer for the Endangered Wildlife Trust’s (EWT) Wildlife in Trade Programme, who says “the poaching of wild lions for body parts has escalated in recent years and we cannot rule out a link to the market created for lion bones from captive breeding institutions”. This article was produced with the support of the Conservation Action Trust.